Let our expert staff show you the options you have when it comes to framing your favorite photos. Come see for yourself and get a feel for various samples of frame types, shapes, colors and sizes. 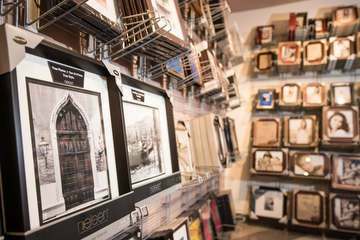 Our selection will allow you to find a frame that fits your taste, your budget, and the type of image you wish to display. Photo CDM stocks a varied assortment of of standard sized frames, and can also order custom frames in a wide variety of popular shapes and colors. We offer 40 different hues, textures colors of mattes. Come see our samples in-store. We offer complete made-to-measure frames and framing services. Let us frame your best photos or other favorite images the way they deserve. From classic to contemporary, we will frame your work with museum-quality materials in order to insure the best preservation possible. 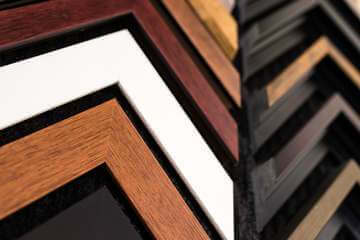 You’ll find a wide variety of samples in the framing section of our store.